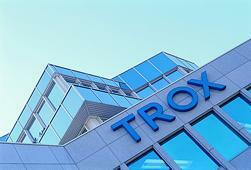 TROX has decided to convert its sales company TROX Mexico, that was founded in 2010, into a production company. Starting in mid 2019, TROX Mexico will first produce grilles and other air terminal devices, followed by air handling units. Mexico is one of the largest growth markets in the world. The country has in fact become one of the most attractive global production locations due to its favourable geographical location, the government's liberal economic policy, and its population of 123 million. Many European and Asian companies have already set up production facilities in Mexico. As a further step, TROX will establish a 'TROX North America' company. The company's main purpose will be to support the activities of Walkair US, the Trox sales partner for the US and Canada. Walkair is a subsidiary of Daldrop SBB part of the Daldrop Group based in Germany.